I draw and experiment a lot using different media. I do mostly digital art and illustration. I go by the name SaladTurtles on most sites. Hello, everyone! I’m the artist here. I usually go by the name SaladTurtles. I enjoy painting, drawing, and taking pictures. 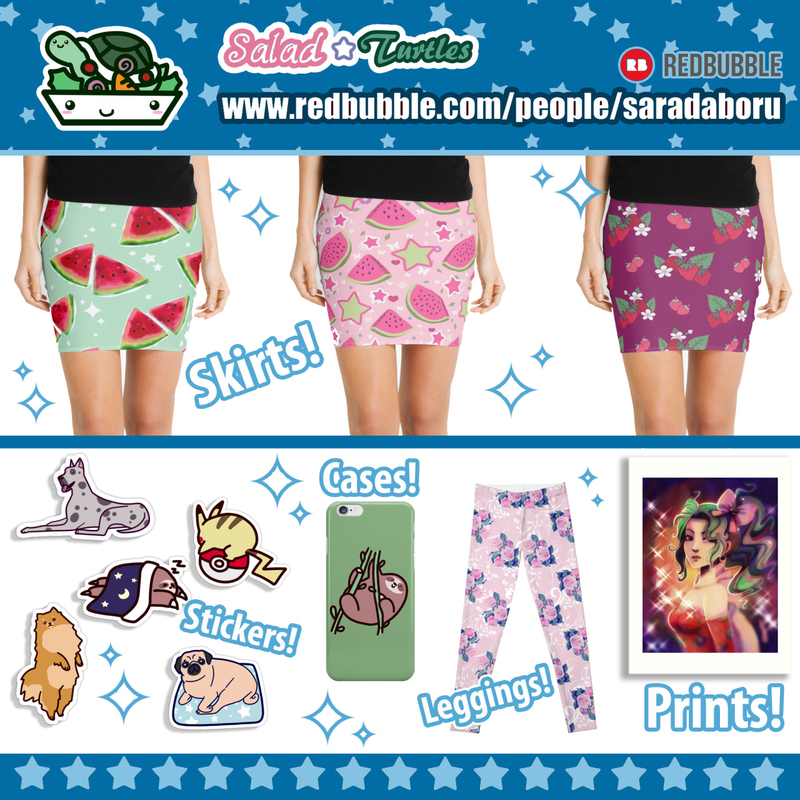 Check out my gallery, I have lots of animal stickers, cute t-shirts, and fanart designs.